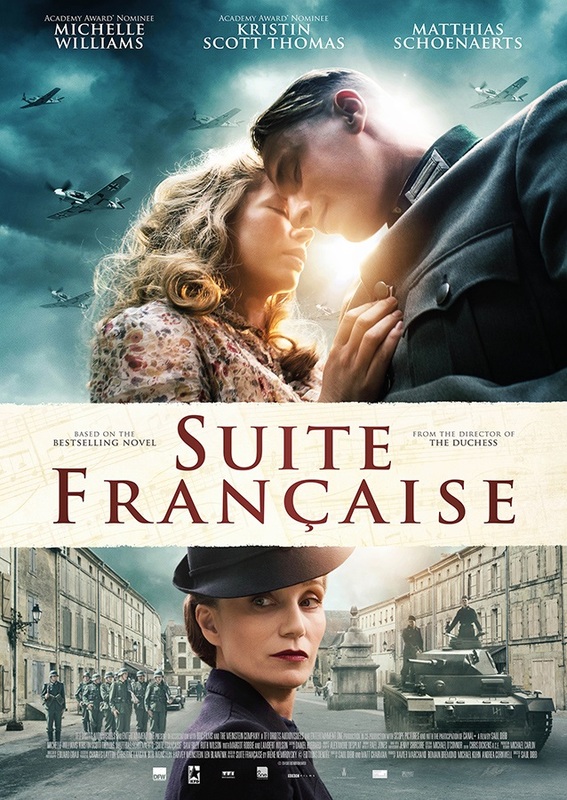 Having seen a trailer for Suite Française, you would be led to believe that the plot would focus on a love story set during the war – not exactly anything you’ve never seen before. It is, in fact, the supporting characters and the interactions between the residents of the small town Bussy in France that set this film apart and actually make the film quite compelling. The film opens by introducing us to the cold Madame Angellier (Kristin Scott Thomas) and her meek daughter-in-law Lucile (Michelle Williams) as they collect rent from the residents of the homes they own throughout the town. At this point we are informed that German soldiers will be setting up their base there, with many houses being billeted to an officer. As luck would have it, Angellier and Lucile are given a surprisingly charming and handsome Lieutenant Bruno as their guest (Matthias Schoenaerts). Angellier is played brilliantly by Scott Thomas, with Williams giving a solid performance but never quite reaching the same level. Under the scrutinizing eye of Angellier, Lucile and Bruno appear to fall in love and bond over their love of piano. Music is a main feature and theme within the film as its title actually refers to a piece composed by Bruno. The melancholic piano pieces that play throughout and act as a background for Lucile’s voiceovers give the film a period feel and capture the romance between the primary characters well. It is also a nice accompaniment to the stunning cinematography and shots of the town which give the film a sense of time and place. It is however, the supporting characters that create the interest in the film – while you will the two leads to be together, you are sucked in by the other residents of Bussy and their stories. A secondary storyline sees Benoit and his wife Madeleine (Sam Riley and Ruth Wilson) struggle as they are forced to take in a less than sympathetic German soldier who proceeds to anger Benoit with his mind games and his love of violence. Their struggle to support their two children and pay rent as well as their encounter with the ghastly Lieutenant Bonnet, make them the unsung heroes of the film and in turn make Lucile and Bruno’s anguish seem trivial in comparison to the hardships the face. The film becomes less about love and more about class and poverty in a small village during the war. The supporting characters such as the Viscount and his wife focus the film on the politics and class system that was present even while bombs were dropping around them. We are given an alternative look at life during WWII that isn’t always shown on screen. Posted in Arts and tagged film, movie, review. Bookmark the permalink.